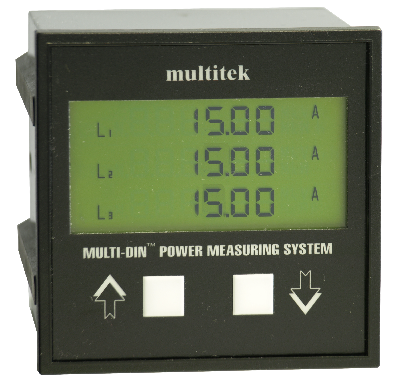 Multidin M80x is a 96x96mm cased LCD three phase power meter. 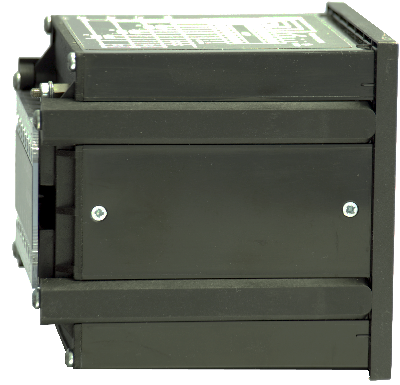 It measure Volts, Amps, Frequency, Demands, Maximum Demands, Active Power, Reactive Power, Apparent Power, Active Energy, Reactive Energy and Real Power Factor. The M801 is a lower cost LCD version, measuring Volts, Amps, Frequency, Active Power and Apparent Power.